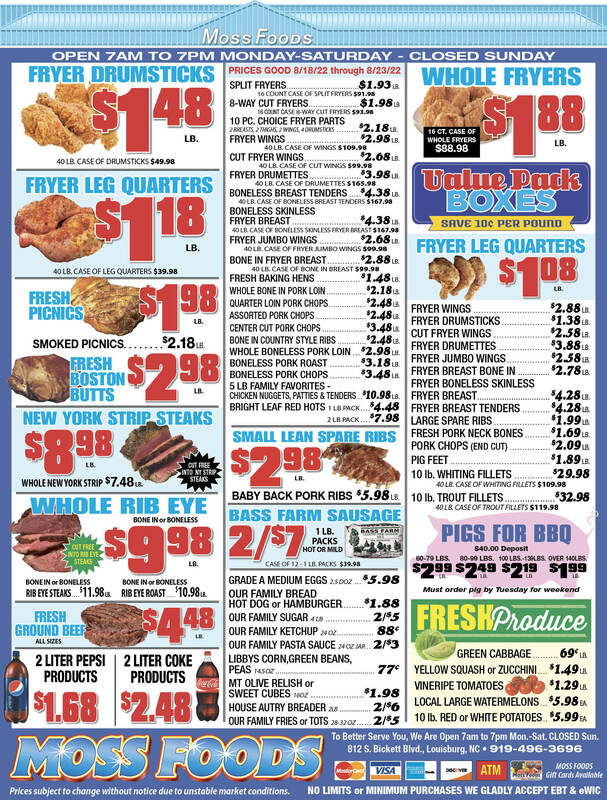 Showing 36 articles from January 2, 2019. 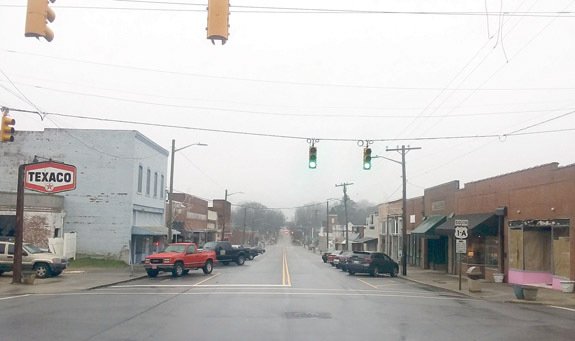 FRANKLINTON -- From streets to buildings, commissioners and staff have taken steps they expect will make the town more attractive to businesses and residents. In November, town staff unveiled a street paving list, relying upon current conditions and maintenance history to prioritize the roads it plans to repave and improve over the next decade. LOUISBURG -- For people of a certain age, whiskey making conjures up images of fast cars, wooded areas and close shaves with the law. 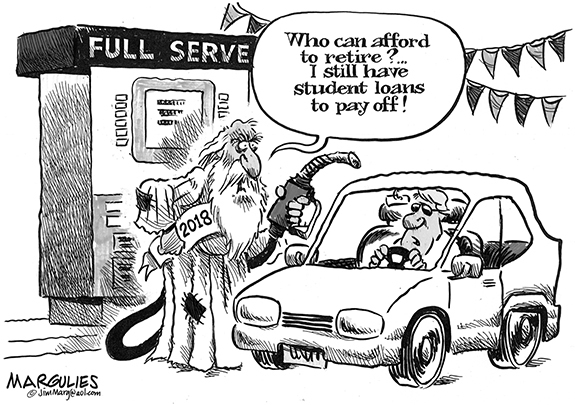 For Randy Moore -- one image was enough. Then, he decided to go straight. 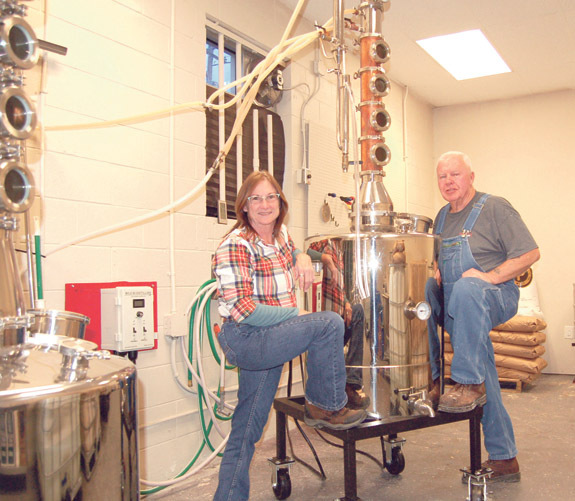 The result is Carolina Country Distillery, an operation he and his partner, Lucy Monks, are getting close to seeing pay off. Rolling into a new year! STYLIN' IN THE NEW YEAR. 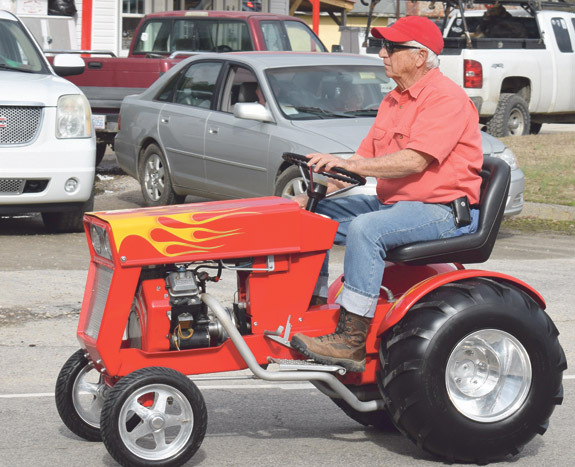 Gordon Layton of Youngsville rode into 2019 in high style on his tricked-out riding mower during Centerville's annual New Year's Day parade. 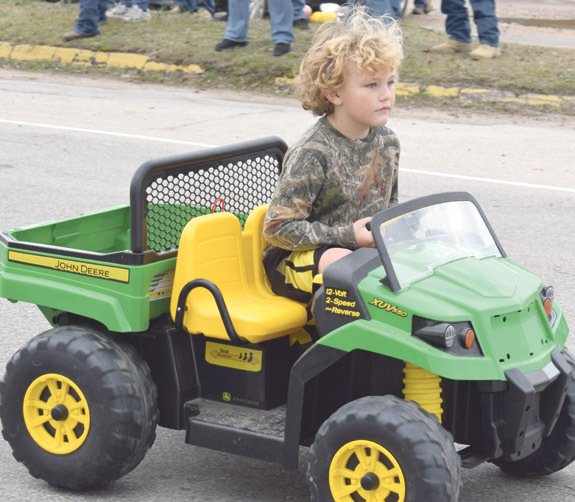 For more photos of the parade, see Page 8A of this edition -- but first, check out the rims on this stylish ride! 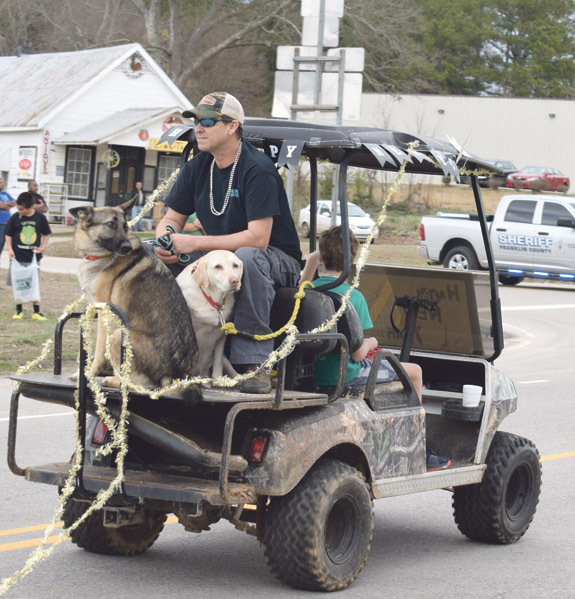 FRANKLINTON -- When the town revived its parks and recreation program, Police Chief John Green's job went from serving and protecting to coaching and sweating as he became the de facto head of the program. Commissioner Brad Kearney and Green restarted the program in the spring of 2016 and since that time, both have worked to coordinate, organize and run the program. 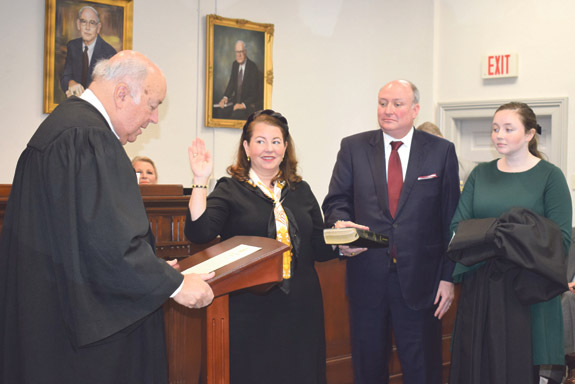 Recently elected Superior Court Judge Cindy King Sturges is administered the oath of office on Tuesday by Robert N. Hunter Jr., (left) of the North Carolina Court of Appeals. Holding the Bible is Judge Sturges's husband, Boyd, and witnessing the ceremony is their daughter, Olivia. Judge Sturges takes over the Ninth District court seat that had been held by Judge Robert Hobgood until his retirement last year. Interestingly, we finished out 2018 on a very positive note with an unusual front page for us that featured some "good news" about the activities of Franklin County folks. Suddenly, it's 2019, a new year filled with possibilities, hopes and dreams! 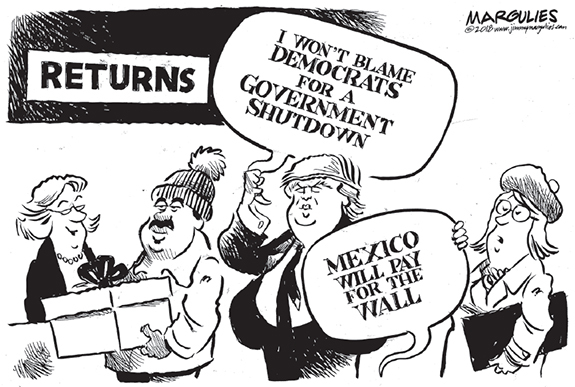 For most of us, the Christmas holiday season flashed past in a blur of food, family and a blizzard of wrapping paper that somehow all came together after weeks of work and planning. If I had to describe 2018 in one word, it'd be wet. Whether it's politics, economics or, just life in general, there are people who would probably say it was all wet. The wet I'm describing is actual water amounts, though. Department of Homeland Security Secretary Kirstjen Nielsen has blamed Congress and the federal courts for what she described as a "humanitarian crisis" at the border with Mexico. She called on federal courts to enforce existing immigration laws and for Congress to put politics aside and fix a "broken immigration system." LOUISBURG--Funeral services for George Washington Hayes, 89, who died Tuesday, Jan. 1, 2019, will be held Saturday, Jan. 5, at 11 a.m. in the Richardson Funeral Home Chapel in Louisburg. Burial will follow in the Hayes family cemetery. YOUNGSVILLE--Robert Earl "Bob" Gay, 84, died Tuesday, Jan. 1, 2019 at Hillside Nursing & Rehabilitation in Wake Forest. A graveside funeral service will be held at 11 a.m. Saturday, Jan. 5, at Flat Rock Baptist Church cemetery. TROPHY TIME. 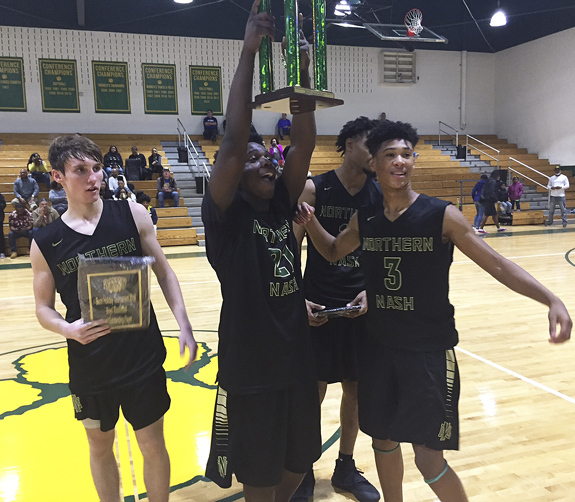 Northern Nash's Sencere Battle lifts the championship trophy from the Bunn High School Christmas Basketball Tournament. 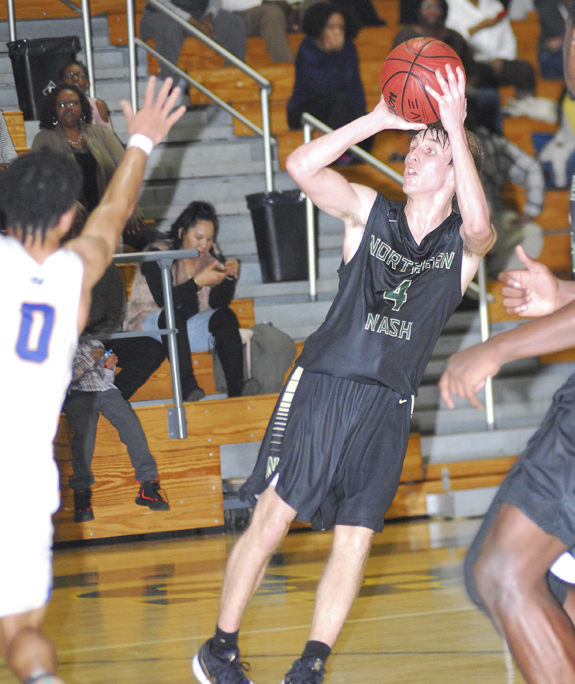 BUNN -- After earning earlier-round wins over Warren County and Wake Forest in convincing fashion, Coach Henry Drake's Northern Nash Knights turned their focus to the then 8-3 East Wake Warriors, in hopes of earning their second consecutive Bunn Christmas Boys Basketball Tournament Championship. 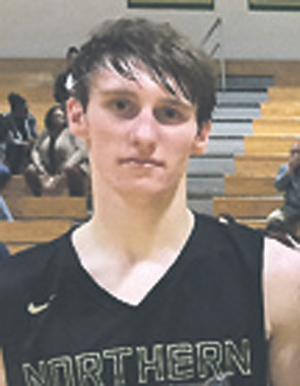 Despite a fast start and an overall strong showing from the Warriors, the Knights were able to squeak out a 50-45 win, pushing their record to 11-1 just before the calendar turned to 2019. BUNN -- Still going strong after all these years. 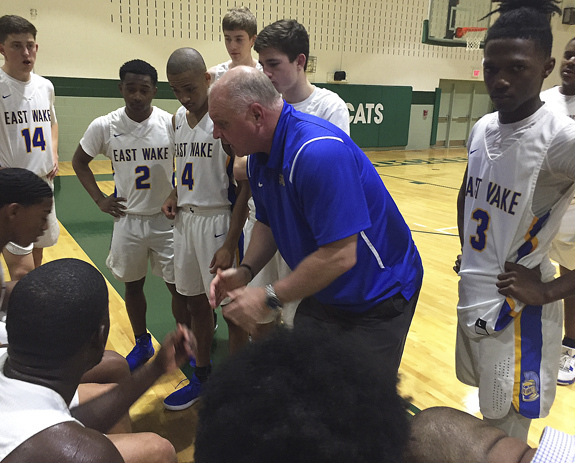 When Gerald Melton arrived at Southern Nash High School in the 1990s, he was in the early stages of a basketball coaching career that would take him to three different counties -- though albeit never far from the area. 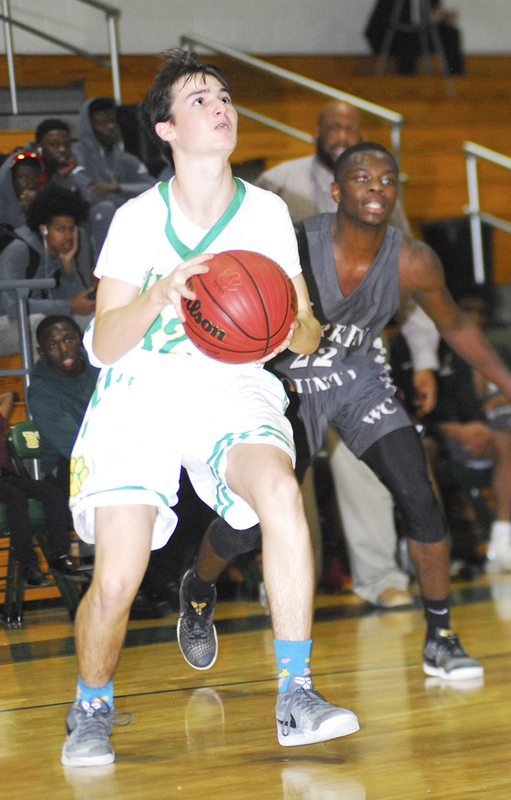 BUNN -- Learning how to finish out victories is a key part in the development of a young basketball team -- and the Bunn Wildcats are no different. 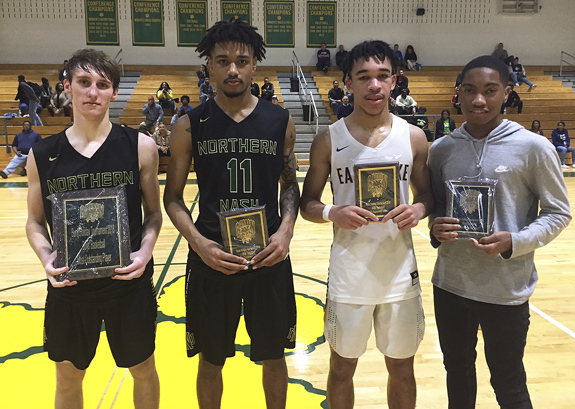 Bunn, loaded with underclassmen, had an opportunity to make a huge statement during last week's action at its annual Bunn Boys Basketball Christmas Tournament. GREENSBORO -- The financial contributions to North Carolina A&T Athletics have been sizeable in 2018. But not every contribution to North Carolina A&T Athletics can be measured. 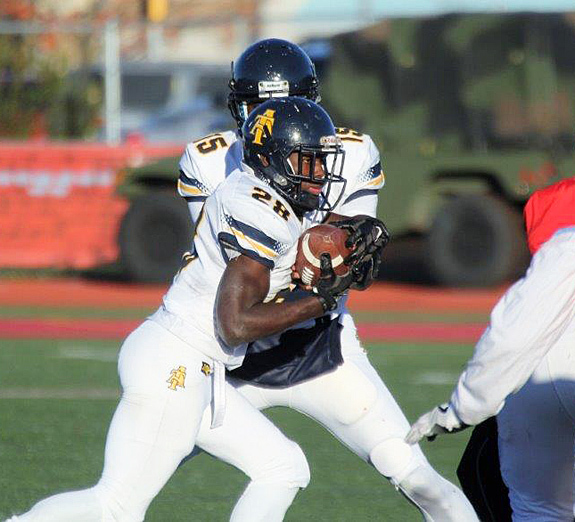 What Bunn High School graduate Tarik Cohen has meant to North Carolina Agricultural and Technical State University since he stepped on campus in 2013 has been immeasurable. 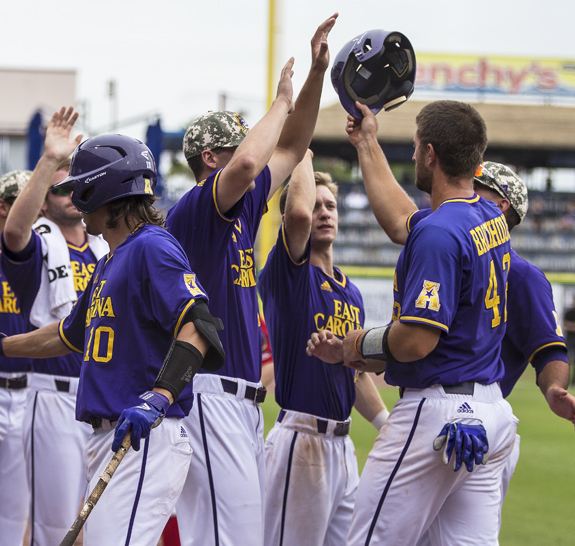 GREENVILLE - After hosting just its second on-campus regional in program history in 2018, East Carolina University's baseball squad has been picked first in the 2019 American Athletic Conference preseason poll as chosen by the league's nine head coaches. The Pirates, who claimed the 2018 AAC Tournament title, picked up six of eight first place votes. 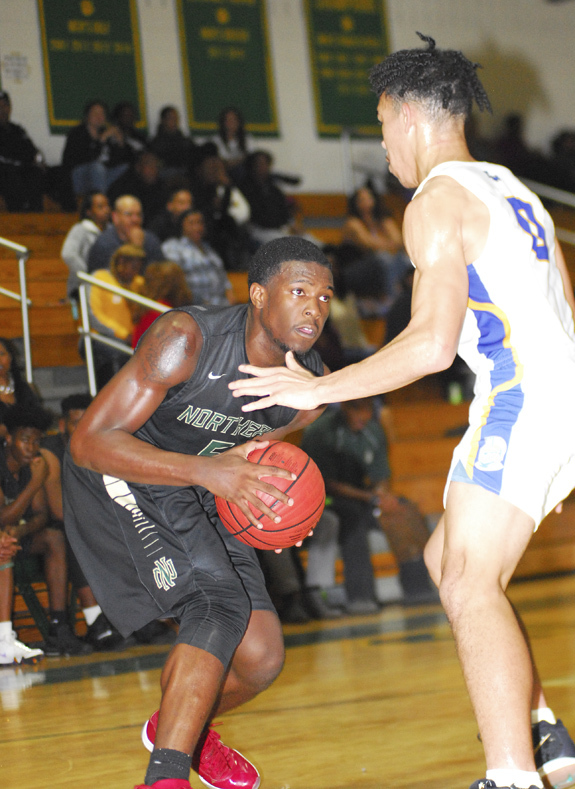 Northern Nash's Darquez Flowers (left) makes a strong move en route to scoring a basket during last Saturday's tournament decision over East Wake. 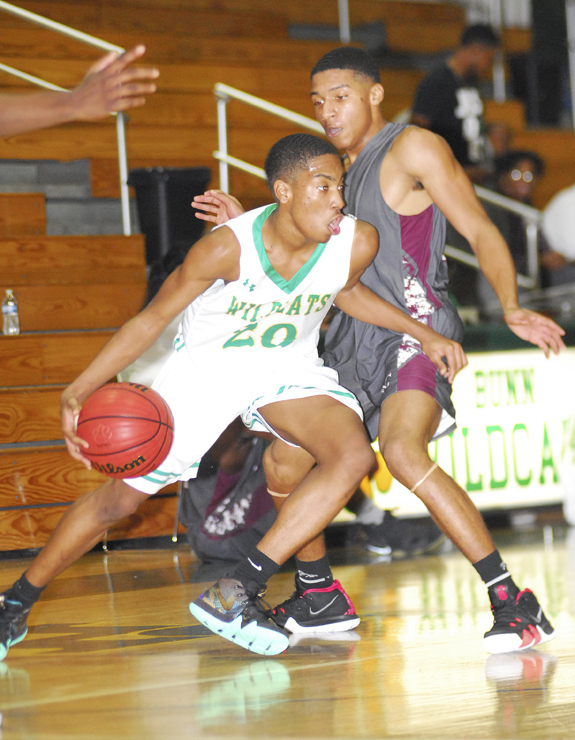 Bunn High School's Quay Mosley (with ball) was named to the All-Tournament Team at the annual Bunn Christmas Tournament, which concluded last Saturday night. Northern Nash's Sam Page fades away for a basket during the Knights' triumph over East Wake in the championship game of the Bunn Christmas Basketball Tournament. What's a Centerville parade without a Centerville truck? 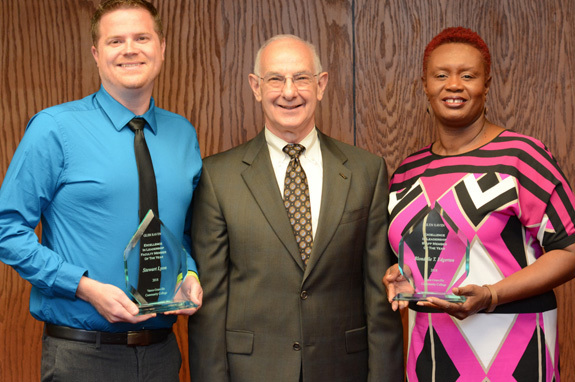 HENDERSON -- An instructor who also is leading one of VGCC's curriculum programs and a director of a jobs skills training program for the unemployed and underemployed, have been honored as outstanding employees for 2018-2019 at Vance-Granville Community College. 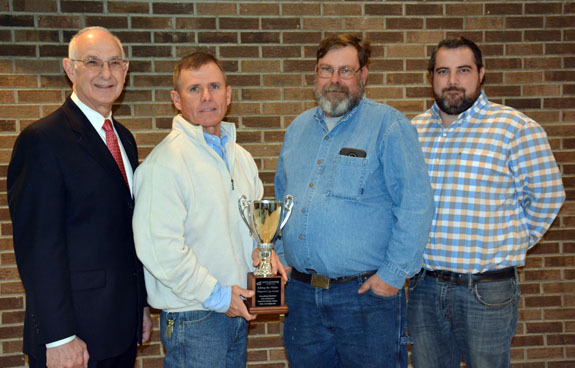 Vance-Granville Community College's interim president, Dr. Gordon Burns, recently honored a team of faculty members in the Welding Technology program at the Franklin Campus by awarding them the "Vanguard Cup" for excellence in education. The department became the fourth recipients of the cup, an honor created by the President's Office to recognize "exceptional team performance toward the college mission, vision and strategic plan." LOUISBURG -- Franklin County sheriff's deputies are looking for a suspect in an armed robbery. Authorities say a man entered the Lucky 7 Internet Cafe at about 8 a.m. on Dec. 30, armed with a screwdriver. The suspect, described as a black man, about 5-feet 8-inches tall, left the sweepstakes cafe at the intersection of E.F. Cottrell Road and U.S. 401 with an undisclosed amount of money. LOUISBURG -- Police arrested a Louisburg man accused of trying to steal a car at gunpoint. According to authorities, a 24-year-old Louisburg man said he was in the parking lot of Franklin Court Apartments at about 3:30 a.m. on Jan. 1 when he was approached by a man with a gun. LOUISBURG -- The Franklin County Board of Commissioners will be asked to designate its old jail as an historic landmark. Doing so would help maintain the exterior structure's historical appearance through any renovations or improvements that take place. Also, the designation would help to conclude the certification process of the county's Historic Preservation Commission with the state, meaning the commission could then apply for state grants they could use to bolster historic preservation efforts. YOUNGSVILLE -- The state is reviewing a wastewater spill reported in Franklin County last week. Franklin County Public Utilities Director Chris Doherty reported that rains on Dec. 28 caused about 3,600 gallons of sewage to spill from the Youngsville pump station into an unnamed tributary of Richland Creek, which is a tributary of the Neuse River Basin. LOUISBURG -- A former police officer suing Lake Royale for wrongful termination is seeking answers prior to the trial. Attorneys on behalf of Herbert Lee Williams filed a complaint in Franklin County Civil Superior Court in July, alleging that Lake Royale POA General Manager Tracy Clay fired him in June 2017 for failing to enforce what he called a violation of a Lake regulation -- an act plaintiffs allege would have been beyond his statutory authority. 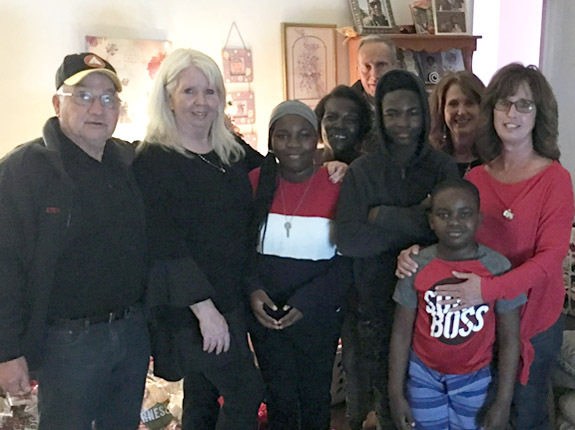 When the Christmas holiday was quickly approaching, the Louisburg Moose Lodge men and women took a few minutes to extend a helping hand to a family in need after Hurricane Florence and the flood waters it created destroyed their home and belongings last fall. They reached out to Lashontel Mitchell who moved from nearer the coast to Wake Forest after the storm and was working to rebuild her life. 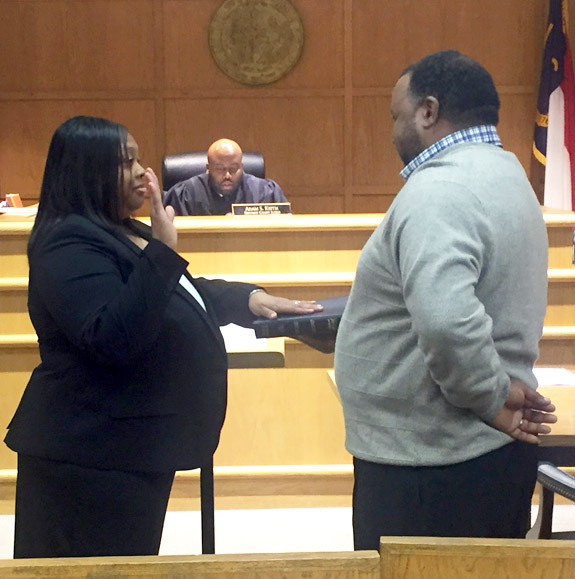 Sonravea Privette was sworn in last month as a new member of the North Carolina Bar. She was sworn in by Judge Adam S. Keith, background, and is joined by her husband, Eric Privette, during the Nov. 26 ceremony in Franklin County District Court. Local Attorney Thomas H. Clifton presented Sonravea Privette to the Court. Privette, a graduate of Franklinton High School, also attended the University of North Carolina-Chapel Hill and Thomas M. Cooley Law School. She resides in Louisburg with her husband Eric.